The Clark’s Renoirs have been seen by a million visitors during the current tour of museums. 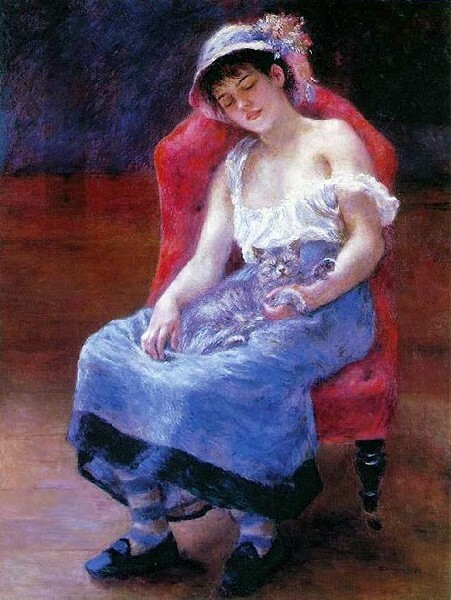 The Clark is known for its depth in works by Renoir. The international tour of works from the Sterling and Francine Clark Art Institute recently marked a significant milestone as it surpassed the one million visitor mark during the final weekend of its presentation at Barcelona’s CaixaForum. The exhibition Impressionistes: Mestres francesos de la colecció Clark concluded its 12-week run at CaixaForum on February 12, 2012, where it was viewed by more than 200,000 visitors. 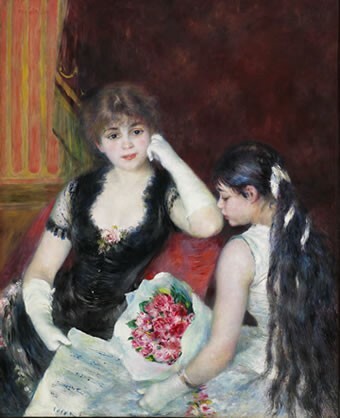 The Clark’s first international tour began in October 2010 at the Museo Nacional del Prado in Madrid with a special presentation of its full collection of paintings by Pierre-Auguste Renoir, at the same time as the Clark’s exhibition Picasso Looks at Degas was on view in Barcelona at the Museu Picasso. The tour of the Clark’s French Impressionist works then traveled to venues in Milan and Giverny, France, before opening at CaixaForum in November 2011. The Kimbell Art Museum in Fort Worth, Texas, will be the tour’s next venue—and its only U.S. stop—where it will open to the public on March 11. The Clark tour has earned critical and public acclaim at each venue. After Madrid, the full tour of Impressionist works from the Clark was presented at the Palazzo Reale in Milan. Its March 2, 2011, opening drew the largest attendance in the history of the institution. The tour then moved on to the Musée des impressionnismes in Giverny, France (July 13 to October 31, 2011), where it set new attendance records for the museum located in the village which was at the center of the Impressionist movement. The November 17 opening at CaixaForum set the stage for its successful presentation, welcoming the largest opening audience for that venue. The exhibition continues the Clark’s commitment to global outreach and cultural exchange. “It is our hope that this tour will encourage the cross-cultural exchange of new ideas and the discovery of common ground, paving the way to greater mutual understanding and cooperation through the arts,” Conforti said. The exhibition features 72 paintings from the Clark’s nineteenth-century European collection, including works by Pierre-Auguste Renoir, Claude Monet, Edgar Degas, Édouard Manet, Berthe Morisot, and Camille Pissarro, as well as those by Pierre Bonnard, Jean-Baptiste-Camille Corot, Paul Gauguin, Jean-François Millet, Alfred Sisley, Henri de Toulouse-Lautrec, William-Adolphe Bouguereau, and Jean-Léon Gérôme. Accompanying the exhibition is the catalogue Great French Paintings from the Clark, published by Skira Rizzoli with editions in five languages. The 240-page publication, available in hardcover, features 131 color illustrations accompanied by essays by James A. Ganz and Richard R. Brettell. The timing of the international tour coincides with renovation work currently underway on the Clark’s original 1955 museum building as part of the Institute’s campus expansion program. The tour schedule will bring the Clark exhibition to leading museums and venues in Europe, North America, and Asia through 2013. Additional Chinese and South Korean dates and venues will be announced shortly.